oo those shopping bags are CUTE! you should send me some! We don't have that store around here. And yes there was a minutre horse and a normal horse there... it was at my Aunt's house they practically live in a farm! LOL goats, horses, bunny, dogs, and a cat! I confess I'm a gum chewer also! I feel panicky if I can't find any in my purse. Love the bags...now if I could just remeber them when I go to the grocery store! quit chomping in my ear too Megan! you know how QUICKLY madison picks up new habits, the tongue above is proof! I love reusable bags! I've been a fan for about a year now and haven't looked back! Love your blog its so cute!!! I love your pictures and your Top 2 picks!! i just started using resusable grocery bags 2 weeks ago and I love them! they fit so much more and I feel good about it when i use them! you blog is too cute!! 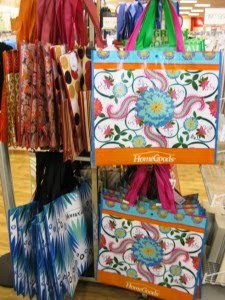 I wish I had a HomeGoods, those are cute bags! That picture cracked me up!!!! I love Homegoods! I havent been there in forever but maybe I need to go get me some of those bags! Love those! I LOVE reusable shopping bags, but these are the cutest! I'll have to check them out! totally need to go check those bags out, so cute! 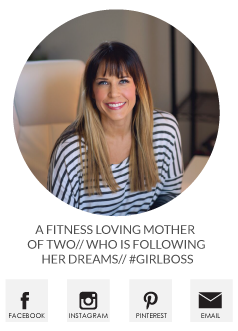 I love your blog too! ohhhh those bags are SUPER cute! i love them!! and the little miss looks hysterical!!! what a little personality! Just another reason I wish there was a Home Goods near me! Those bags are awesome! I love the brightness of them. And can I just say how DARLING Madison is sticking out her tongue. Hehe, what personality!